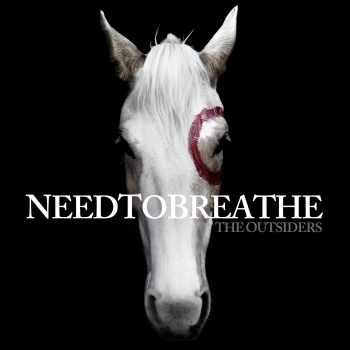 “We were born to embrace not accepted.” Its a line in a song by popular pseudo-Christian group NeedToBreathe. To be honest I love hearing it. It strikes a chord within my soul. Since a child I've had the same struggles as most pentecostal kids; that with acceptance from our peers. I wish I could have told you that from childhood I was a believer in unity. This was not the case. I was an outsider, yet I had the privilege of knowing oneness organizations, but didn't consider fellowship with them as a good thing (Nor did the organizations consider inter-organizational fellowship a good thing). They were the great unknown, I mean, what did they really believe. It wasn't until IBC when I found myself fellowshipping with the UPCI, ALJC, PAW, and AA, seeing that there was no difference in our views of the Bible and salvation, and little difference between the way we separate ourselves from an ungodly world. I've seen so many changes in our movement today, some for the good, and some for the bad. I see what a great blow the chains of division has brought, and how important it is to cast them off. I will be honest, I don't believe that we will ever merge into one United Oneness Apostolic organization, I believe that the ego of man will prevent that, but I do think we are primed for a “united nations” style of conference and dialogue. A three fold cord is not easily broken. Two is better than one. There is safety in the counsel of many. Love your neighbor as yourself. The Bible is full of examples about the body working together for the good of Christ. I have seen the power that coming together unleashes. I have seen the destruction of division. Arkansas district youth department's slogan this year is “together”, and let me tell you something sir, they do mean it. We have had the honor of being invited to more of section 2's youth functions that we have the ability to attend. We have a good relationship with each church in our area, and often eat together at the wings 2 go after church. A kingdom mindset has taken root where the chains of slavery once had us bound. The goal for the greater White Hall area is simple, strength in unity. There are more people in our county than any single church in our area could hold, therefore we align ourselves, for the glory of God, to reach a world in need. I believe in leading by example. I want unity in our local church as well as our global church. You may not be my cup of tea, for everyone isn't everybody's cup of tea, but even if I don't particularly want to vacation with you, I can still support you in your efforts to reach the lost. Do I approve of everything that claims the “oneness” banner? No. And to be honest, we may find a way to say we are better off all alone on our island living for Jesus, but the problem is that no man is an island, and what I do will effect generations to come. If the Lord blesses me with children I want them to know an Apostolic church that is just that, Apostolic through in through. Apostolic in doctrine, Apostolic in unity and Apostolic in Strength. Unity will not just happen. You have to make it happen. Promote others above yourself, pray harder than you ever prayed, and trust God. Unity doesn't just happen, so go make it happen. We were indeed born to embrace not accepted, but we are not outsiders within the body of Christ. I encourage you to fellowship with each other.